Progressive Charlestown: Where's the money? Massachusetts Sen. Elizabeth Warren is demanding answers from the Trump administration about Puerto Rico. In a letter dated Jan. 21, Warren wrote a series of critically important questions directed at Secretary of Housing and Urban Development (HUD) Ben Carson, and director of the Office of Management and Budget and acting White House chief of staff Mick Mulvaney. Warren’s inquiry stems from recent news reports that Donald Trump has been trying his best to cut off emergency funds to the island since September, and has also been using the federal government shutdown as an excuse to deny the allocation of billions of dollars in housing fund money to Puerto Rico from HUD. 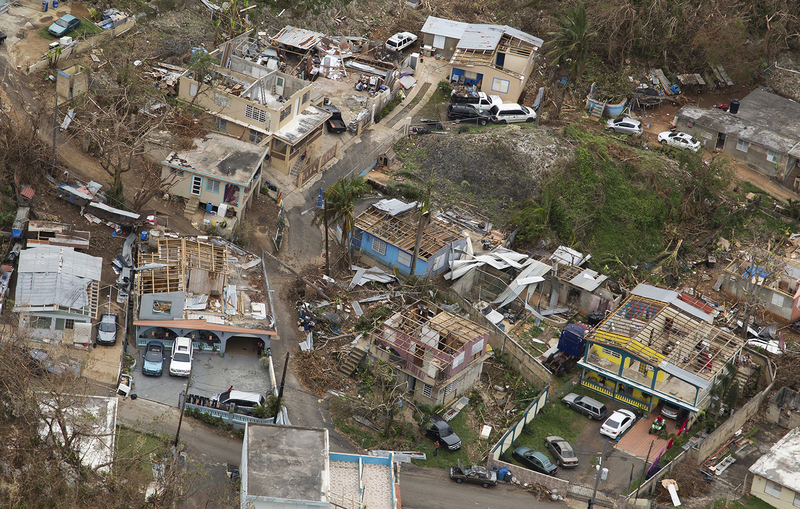 According to Warren’s letter, Trump’s war on Puerto Rico began after he heard that Puerto Rico was using emergency funds post-Hurricane Maria to pay off its debt. This, of course, turned out to be fake news. It would have likely been an easy misunderstanding to clear up. But after two years, one thing we know well is that this White House does not operate on facts or logic. And so, upon hearing this false information lie (which probably came from Fox News or some other right-wing trolls), Trump actually told his chief of staff (John Kelly at the time) and his Office of Management and Budget director that “he did not want a single dollar going to Puerto Rico,” suggesting that “more of the money go to Texas and Florida” instead. Apparently, Trump and friends not only want Puerto Ricans not to recover from Hurricane Maria—they want them to starve to death, too. Warren is raising the alarm about how billions of dollars of recovery funds for Puerto Rico and other states impacted by natural disasters are being held up by Trump’s shutdown over a border wall. HUD allocated $20 billion to Puerto Rico in 2018 alone to restore “damaged and destroyed homes, business and infrastructure.” But because of the shutdown, the island hasn’t seen a penny of that money. Warren cites that this is against HUD’s own contingency plans for lapses in appropriations—which indicate that the agency will continue to disperse certain grants during a shutdown. Aside from deviating from the agency’s own plans, denying Puerto Rico money for housing and infrastructure when people are still recovering from a catastrophic hurricane and remain at-risk for housing instability and homelessness is downright criminal. Yet it’s perfectly in line with what we’ve come to expect from his administration’s lack of humanity and abject cruelty. The letter gives Mulvaney and Carson until Feb. 5 to respond to Warren’s inquiry. Among the specific questions Warren is asking: Did Donald Trump instruct either Mulvaney, Carson, or any other official in the administration to cut off funds to Puerto Rico? What is the administration’s policy regarding congressionally authorized and appropriated funds to Puerto Rico, and when will they be dispersed? And why does the administration think that $600 million in nutrition assistance is unnecessary? Its doubtful that the answers to these questions will be satisfying. After all, there are no acceptable answers in this catastrophe, short of immediately giving Puerto Rico the billions of dollars in aid it deserves. Sadly, this is unlikely to happen will the Trump administration is in power. But what we can do is continue to encourage our elected officials to go after the administration with all their might. If willfully and intentionally starving and marginalizing a group of vulnerable Americans and denying them access to housing isn’t already an impeachable offense, then it most certainly should be.